East West Rail is the obvious service to extend west of Oxford - assuming 2tph on EWR, that'll be one to Reading / Heathrow? and one to maybe Bristol? But Grove station was the immediate posts above mine, and until it's 4-tracked, I can't see that there's any capacity. Especially as the suburban electrics will be starting back from Swindon in the not to distant future. Grove is in the middle of a 4-track section that goes from the proposed station site (former Wantage Road Station) to the site of the former Challow Station. oh, ok, i thought it was 2-track with a long 'siding' used by the old Didcot power station. thanks. I'm somewhat surprised then that a Grip1 study / business case hasn't been done by now. It is in a 4-track section, but two of the four tracks are basically used as extended freight loops, where slower trains (two or three at a time on occasions) can recess and await the passage of faster trains. I'm not sure opening a station on those loops would be a good idea, unless you provided additional crossovers within them, so there would still be capacity for parking up a freight and stopping a passenger train. 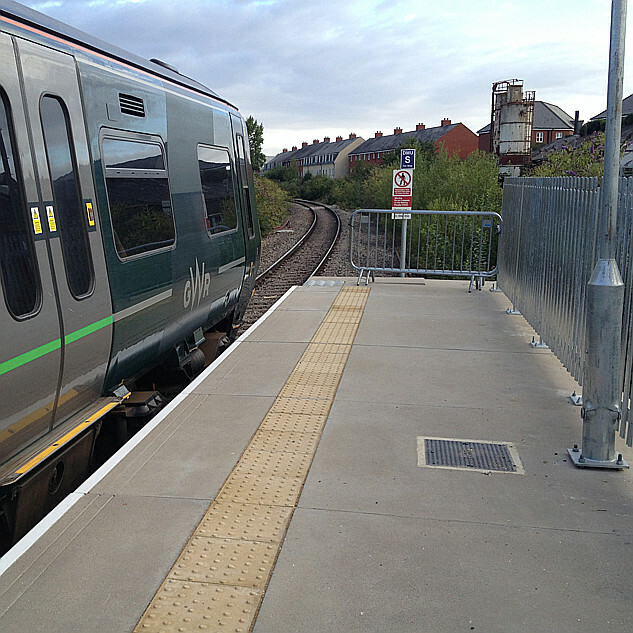 Either that, or more provision for recessing slower trains, especially towards the Swindon direction. A similar lengthy four track section somewhere west of Uffington and then you might be talking. I can't see the whole route as far as Swindon being four-tracked as some have suggested as there would be quite significant civil engineering needed. Noting passenger train overtaking (or is it undertaking) a freight. Suggested crossovers from 992 to 988 and from 987 to 993 would not be cheap, but they would be as but single pebbles on a beach compared to full 4 tracking, and would retain two eastbound and two westbound overtaking sections even when the Weymouth to Great Yarmouth train was calling. Two 4 track sections were put in by GWR in the 1930's. Both were taken out in 1960's, but the Wantage to Challow section was requadrified in the 1990's. The other section was an extended section around Shrivenham. From memory, there is some scope to extend the 4 track west of Challow without too much civil engineering, but major earthworks would be required just east of Uffington. The Shrivenham 4 track started not far west of Uffington and went on nearly until Bourton. The major barriers to full 4 track would be Steventon just west of Didcot (where there are houses quite close on both sides) and Stratton on the eastern approach to Swindon where there is a deep cutting. Both these section also have major trunk road bridges over the tracks. There are also some significant embankments between Steventon and Wantage/Grove. I suppose the question is how much do you have to do to make a difference?